This past week, I wasn’t able to see quite as many films as I usually watch in a typical week. I attribute most of that to the fact that I was playing catch-up at my various jobs from being on vacation the week before. But here are my thoughts on the two films that I did see, which couldn’t be more different from each other. It’s hard to fathom, but these films have 46 years stretched between them — heck, nearly my whole lifetime! What inspired me to go back and watch this Elaine May classic? I had seen it once many years ago and watched the totally sub-par remake with Ben Stiller decades later. As I was watching this week’s hilarious episode of Hiking with Kevin Nealon episode on YouTube, his guest Aubrey Plaza revealed that THE HEARTBREAK KID was her favorite movie of all time, only to learn it was Nealon’s favorite, too. It struck me as fascinating and ironic that the originally cast and subsequently fired Grodin in May’s former comedy partner Mike Nichols’ classic THE GRADUATE (to be successfully replaced by Dustin Hoffman) ended up being quite successful instead in the lead role in May’s picture. Hmm. Guess it worked out for everybody in the end! The film introduces audiences to a restless newlywed who sets off for his honeymoon with his new wife and every mile along the journey begins to discover just how much he doesn’t know (or like!) about her along the way. Once he gets to sunny Florida and hits the beach while his sunburnt new bride recovers in the hotel room, he meets up with the gorgeous Cybill Shepherd, and the poor fella loses himself. I appreciate the subtlety of Grodin onscreen, especially in some of his earlier work. He has just the right mix of charm and annoyance as we become caught up in the whirlwind that is his everchanging heart. This is a classic worth seeing. If you enjoyed films like HAROLD & MAUDE and BOB & TED & CAROL & ALICE (and other similar quirky late 60s and early 70s comedies, including those that do NOT include names in the title! ), check out this flick. 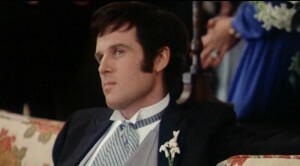 You won’t always like Grodin’s character, but I guarantee you’ll always be curious to see what he does next. I really loved the first MAMMA MIA! ten years earlier, but I knew this sequel had two serious drawbacks going into the picture — a missing Meryl Streep for most of the film (and she is SORELY missed) and not enough great ABBA songs left to include since most of their best numbers were in the first film. Thankfully, they redo some of them in the second movie within a different context, but there’s definitely something missing in this production. But at least, it feels like the actors are having a good time and sometimes that can transmit to the viewer. But if I were to spotlight the best part about this film, it would be an element NOT present in the first one. And her name is Lily James. I adore this actress and have since I first saw her in BABY DRIVER and my later Downtown Abbey binging. She has a sparkle and energy that pours out of her, and her joy is infectious when you watch her perform in this one. I do think she and her counterparts playing the younger versions of the key players in this film are like a breath of fresh air. I found myself disappointed each time they would leave Lily and her friends back in the past to return to the present. Overall, this is still a fun picture for those who enjoyed the first one and are looking forward to hearing more great ABBA tunes and admiring beautiful actors in a gorgeous setting as they sing and dance around their Greek island digs. It is shot as beautifully as the original with great sound to support it. I would simply suggest going in with reasonable expectations. And stick with it. Cher does have some wonderful moments once she finally makes her much-anticipated appearance but that does take a while to arrive. 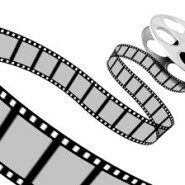 Share the post "Movie Mondays ~ Monday, April 8, 2019"